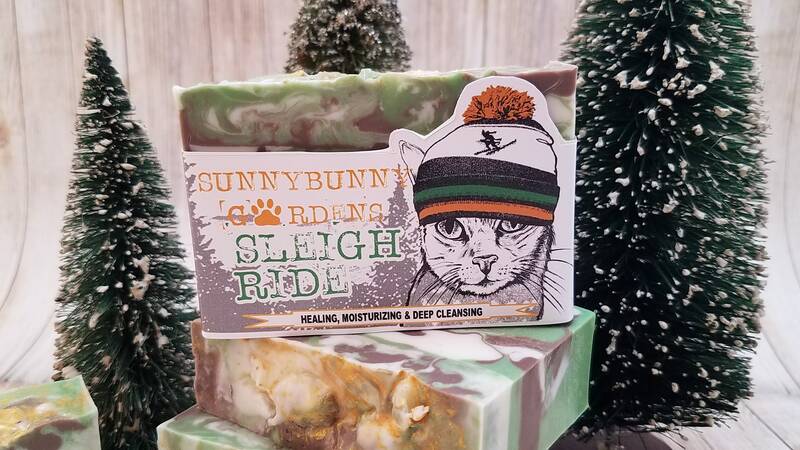 You can almost hear the sleigh bells ringing when you use this soap! 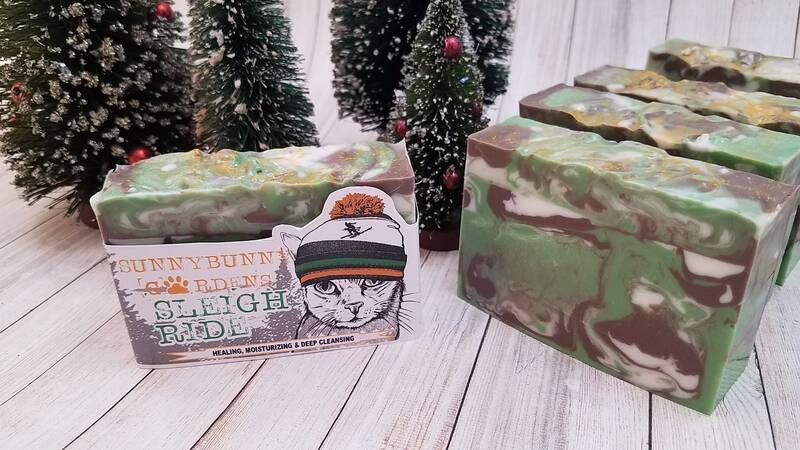 Sleigh Ride has an amazing holiday scent with a top note of orange, a middle note of green apple, winding down to peppermint and cloves. 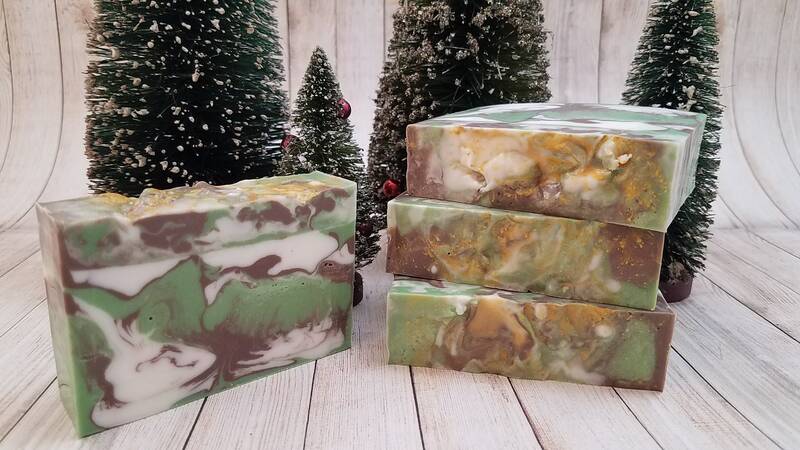 This seasonal favorite will make you dream of wintery days and Christmas to come! 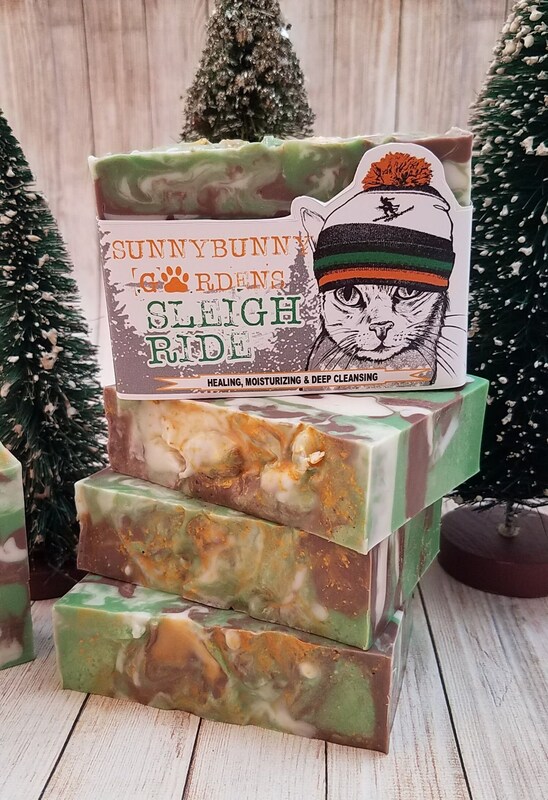 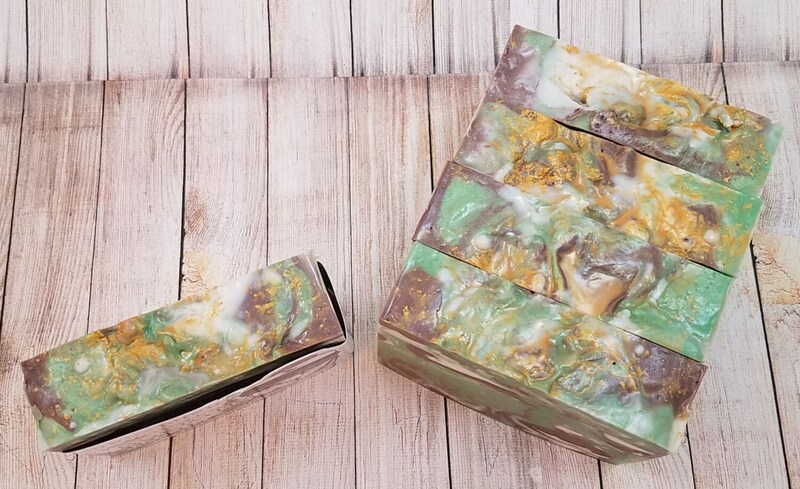 Thank you so much to SunnyBunnyGardens Artisan for making these amazing Soaps! 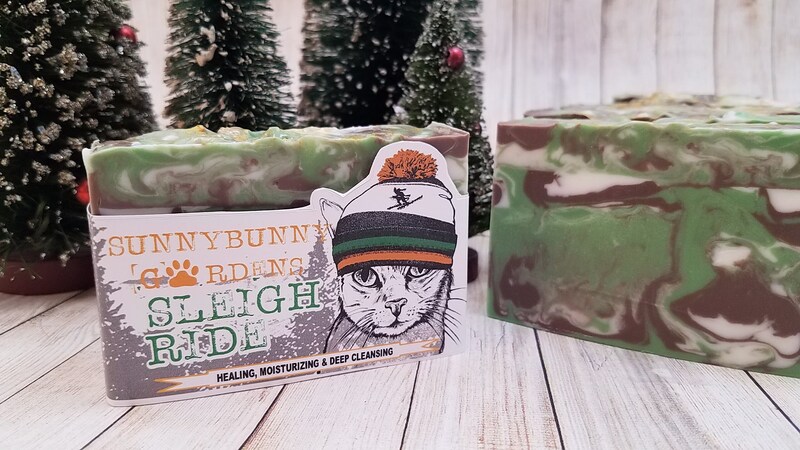 I am putting this in my Daughters Stocking for Christmas and though it's not for me I can say this is a beautifully designed Bar and smells so good! 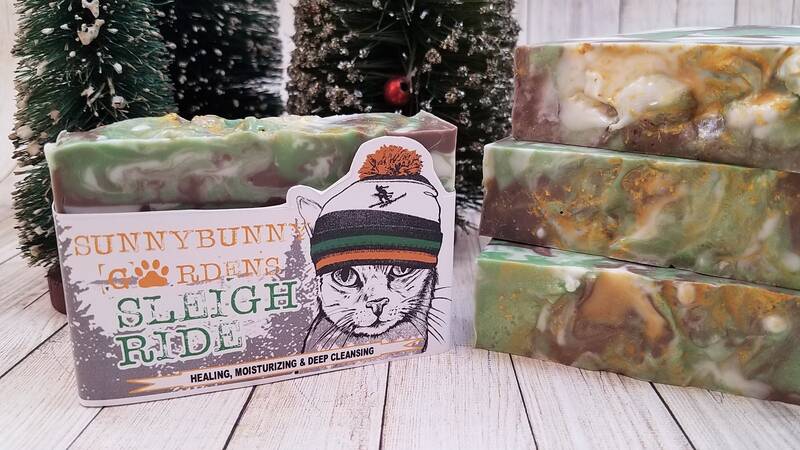 I have purchased from this Artisan before and can honestly say her Soaps are high quality and moisturizing.Highly recommended!!!! 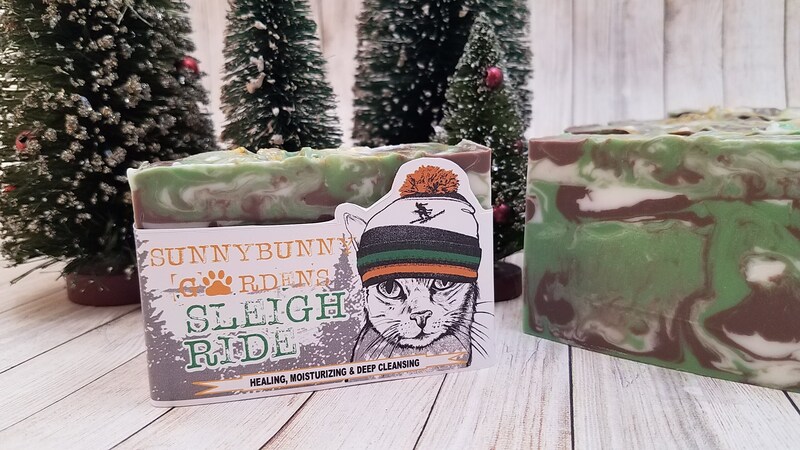 shipping was prompt & items well packaged. 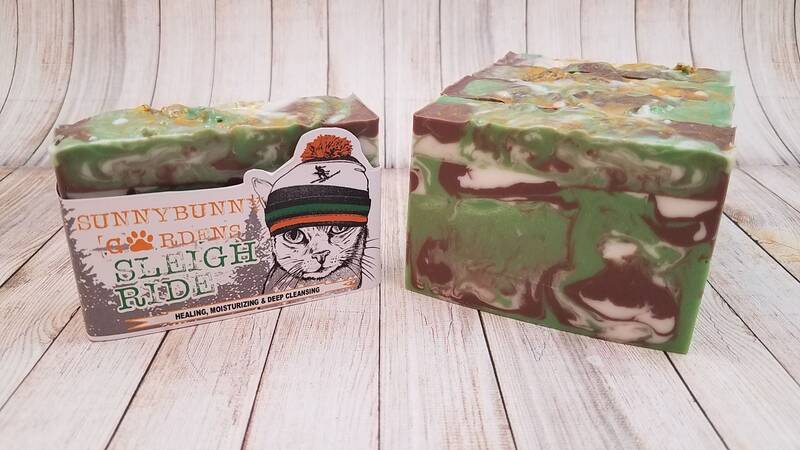 The soaps smell awesome & everyone loved them.